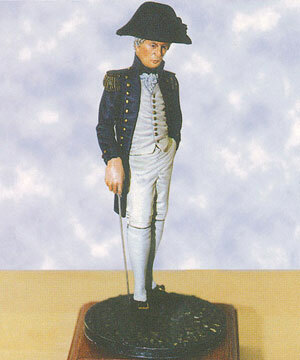 This figure depicts a post captain of the British Navy in 1800. Having epaulets on both shoulders indicates a post captain of more than 3 years seniority in the list. Other considerations apart, a captain posted earlier on the list would always have seniority over a captain posted later. C.S. Forrester's naval books, make this point several times.